Curious customers who have been considering a new Volkswagen vehicle may want to take advantage of limited-time financing opportunities at Burke Motor Group. Now through Feb. 4, the dealership is offering several specials on new VW models. Whether one may be interested in a sedan, midsize SUV or full-sized SUV, they are sure to appreciate the current specials at Burke Motor Group. The 2018 VW Tiguan S 2.0 AWD, for instance, can currently be financed for only $149 per month for 36 months. The 2018 Atlas S 3.6L 4MOTION®, on the other hand, is available with monthly payments of just $279 per for 36 months. 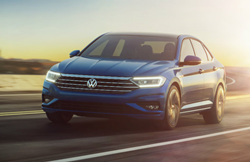 For those who prefer a sedan, the dealership is also highlighting 2019 Jetta S 1.4T models that are equipped with a six-speed manual transmission; these sporty sedans can be financed for just $99 per month for 36 months. Please note that each vehicle will also require a down payment. Furthermore, these financing opportunities are only available to consumers with qualifying credit. To learn more about the dealership’s credit requirements, serious inquiries can be directed to the Burke Motor Group sales team by calling 609-465-6000. Prospective customers can also get pre-approved for financing online by visiting the dealership at http://www.burkemotorgroup.com. Once there, head to the ‘Financing’ tab and click on it. From there, one will need to fill out a few forms with general data, such as one’s employment situation, vehicle of interest, contact information and more. Then, after the forms have been filled out and submitted, the team at Burke Motor Group will inform interested parties as to whether or not they are eligible for financing opportunities at the dealership.